The digital ages impact on the music industry is talked about often, but this latest development really puts it into perspective. Warner Music Group is a New York-based global record company and its distribution arm, WEA, has cut ties with about 100 retailers who pulled in less than $10,000 in annual orders, Pitchfork reports. These stores have had to find other, more expensive ways to stock their stores since theyre no longer working with the company. This policy has the potential to be devastating to a lot of other indie record stores all over the country. "WEA proudly supports hundreds of independent vinyl retailers across the country with direct distribution, and many more through other channels, a WEA representative told Pitchfork. "Last week, in accordance with our long-time policy, we recommended that a limited number of retailers would be better served by working with one of the many vinyl wholesale partners that carry all of our artists releases. 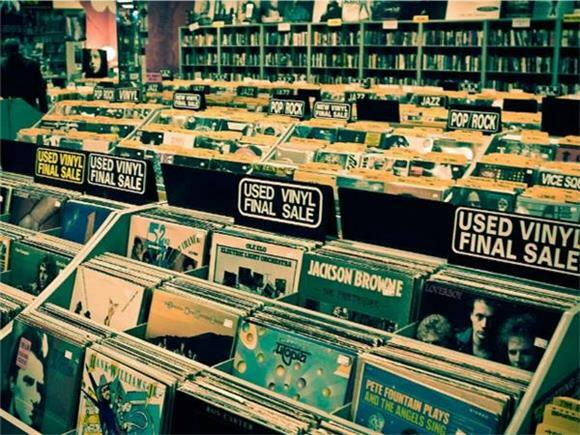 Another WEA source said that not all the shops sold exclusively vinyls; in fact, the affected stores included museum gift shops as well as record stores. Even so, this news is still alarming to small businesses in music--if it can happen to Warner, it can happen to other music conglomerates like Sony or Universal Music Group, affecting even more businesses. These small businesses will now have to order their merchandise through intermediaries, which will lead to higher prices for customers in addition to hurting the businesses. This raises the question--what does this mean for the vinyl in general? Will it continue to be something somewhat mainstream to collect, or become a very niche interest as prices rise and stock gets lower? There arent many big companies that sell them in the first place, so cutting ties with the small shops that do is doing a lot of damage. Rick Wojcik, the co-founder of a Chicago shop called Dusty Groove, feels the record industry tends to diminish smaller stores. "These days, those big retailers are all gone, while we've slowly grown, and numbers that once seemed negligible to the music business are now the numbers of success," he told Pitchfork. "The vinyl revival is one example of that, where the numbers pressed are tiny, but seen as driving the bigger business of these companies, so it is a bit of a surprise that they'd be shaking loose customers who were small, but important." When it comes down to it, its less of a matter of being a person who buys records or not, its about the shops closing down and the owners and employees who have dedicated a large part of their lives to these stores. And, as Wojcik said, the fact that the seemingly tiny bit of business these stores generated was pushing the larger corporations business -- only time will tell what the impact will be on the industry as a whole.